From playing for Failure to A Perfect Circle to Queens of The Stone Age to creating side project, Enemy, Troy Van Leeuwen creates Sweethead, his second side project with up and coming vocalist, Serrina Sims and the rhythm section (Norm Block and Eddie Nappi) of the Mark Lanegan band. Sweethead can be regarded as the female equivalent to QoTSA with it's groovy basslines and drum sections, seductive vocals and trance-inducing guitar riffs. Saying that it is similar to QoTSA doesn't mean that Sweethead lack originality in its tracks, in fact, it is the other way around. Sweethead begins with The Sting, a catchy, dancey track that is laced with all the good stuff from Troy Van Leeuwen via a raunchy, fuzzy guitar solo and intertwining fills that seem to weave in an out of the thumping bassline. Next up, Turned Our Backs might trigger similarity accusation from fans of Nine Inch Nails that might mistake the drumbeat to be a complete duplication of Wish (Broken EP, 1992), but the track manages to be unique with Serrina's singing as well as the very distinct Troy guitar tone which is almost present in the whole album. While Sweethead has loads of high-energy, personally I would say that the band really shines in its down tempo and darker tracks. Amazing Vanishing Conquest, Running Out, Other Side and The Last Evening are a few of my personal favourites from the album. Serrina Sim's low and slightly coarse voice coupled with the great combination of guitars, bass and drums just makes each of those tracks have an almost dreamy ambience and you can't help but sway and hum to those tracks. Sinkhole International and debut single, The Great Disruptors, manage to balance out the album's sound by bringing it back up to speed and maintaining the whole LA rock n' roll/stoner rock sound. But with all the praise I have for this album, some of the tracks (Remote Control Boys, A.W.O.L, Meet In The Road), though enjoyable to listen to on boring evenings, fails to leave a lasting effect. 12th track, The Last Evening ends the album with low wailing guitar solos and fills, the seductive yet calm voice of Serrina Sims backed by the fuzzy bass tone and dark "reverbish" ambience. It almost made me feel like I was being cradled in a wall of sound and laid to bed with its short and sweet dosages of dreamy guitars. A great end to the album. 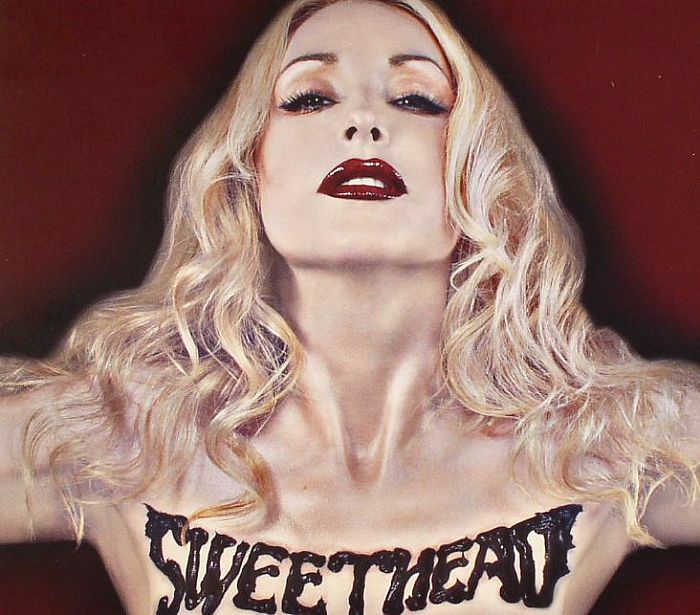 Overall, I would say Sweethead is a great album but loses points in some of its forgettable tracks. A balanced album throughout, I would recommend this album to whoever that enjoys QoTSA, Stoner Rock and everything Troy Van Leeuwen related.